Uganda’s Bwindi impenetrable forest national park boasts of more than a half where as the total number of mountain gorillas in the world are estimated to be from 650 to 700 individuals. Bwindi in east Africa is the main place for watching these giant apes during Rwanda’s troubled years but these days National parks and Volcanoes are also attracting visitors in numbers again. The Mgahinga National park of Uganda has a family of habituated gorillas that regularly cross the boader to Rwanda and back to look for the most recent information about tracking gorillas in Uganda from your tour operator. Therefore gorilla treks in Mgahinga National Park are carried out on a very short notice of one month to the tracking date. No tour operator confirms availability of the tour only if it is very near the tracking date. Incase you need gorilla tracking in Mgahinga National park, you either seek for neccesary information from Uganda wild life Authority or get in touch with us for the recent updates. A minimum of three days only are needed to track and visit the Gorilla. Day one is of driving whereas day two is of tracking and the third day is for driving back to Entebbe or Kampala. Gorilla Tracking Permits in Uganda East African Residents pay USD 350 The Gorilla permits price for Uganda is USD 500 with effective from July 1st while Rwanda gorilla permits fees go up to USD 700 with effective and a Congo gorilla permit is at USD 340 Gorilla tracking permits are so high on demand that at times its advisable to buy your permit in advance atleast one year ahead.Ask your tour operator to advise on issues concerned with the permits. The permit cost includes parking guides fees. It’s always strongly advisable to book gorilla permits many months before your visit: currently there are four gorilla families habituated for tracking in Bwindi Impenetrable forest national park and viz; Rushegura (R), Nkuringo (N), Mubare (M) and Habiyanja (H). Only 32 tourists are allowed to track gorillas per day, 8 in Nkuringo gorillas’ family on the side of Kisolo and 24 in Bwindi Buhoma side. 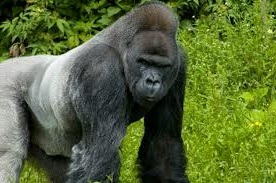 Gorilla trekking is the most excellent memorable experience you will ever experience in a life time!! By visiting such wonderful primates, you are giving them an opportunity to survive and also supporting the surrounding community. Bwindi Impenetrable forest National Park still operates as a vital base for international research; some study the gorillas, biologists come and go while some focus on other aspects of the environment and its wildlife. Bwindi is still funded by the “Digit” fund, however it has been recently re-named “The Dian Fossey Gorilla Fund” and also by International Gorilla Conservation Program. Gorilla tourism is the one of the most vital asset over which Uganda has a total and complete comparative advantage compared to other countries. Gorilla tourism offers significant economic advantages to Uganda entirely, the tourists, Uganda Wildlife Authority, various levels of governments, and the local communities.